No one wants to smell rotten eggs as they lift their glass of water to take a drink. Unfortunately, this problem is a fairly common one. The problem with sulfur in your water is the fact that not only will your water smell bad, but it can have an unpleasant taste as well. Most homeowners want this problem taken care of as soon as possible. AAA Water Team is here to talk about sulfur smelling water and what can be done to get rid of it. 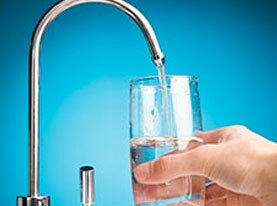 When you have water that smells like sulfur, it is usually because there is hydrogen sulfide gas in your water. Some homeowners only notice the smell when they are using hot water because hydrogen sulfide gas is forced into the air by heat. The problem is usually caused by a water heater that is a warm environment that creates the ideal place for sulfate reducing bacteria to thrive. Are there Health Effects from Chronic Low Level Exposure to Hydrogen Sulfide? The problems caused by this unpleasant gas isn’t harmful to you. Most of the time, homeowners want to get rid of this problem long before there are dangerous levels found in their water. The bigger problem lies in what it can do to your plumbing system. The hydrogen sulfide gas can be corrosive to certain metals including iron, copper, brass and steel. It can also leave yellow or black staining on your faucets and fixtures in the bathroom and kitchen. You may also notice that your drinks like coffee and tea are discolored and taste off. There are a few options when it comes to getting rid of the hydrogen sulfide gas in your water system. –	Chlorine Injections: It doesn’t take much more than a small amount of bleach to get rid of hydrogen sulfide from your water. This can be injected into your water system. Chlorine will react with the hydrogen sulfide and create a small odorless, tasteless yellow particle. These particles can easily be removed with the proper aggregate filter. –	Aeration: oxygen found in air will quickly turn hydrogen sulfide into sulfate rather, which is and odorless, dissolved particle. 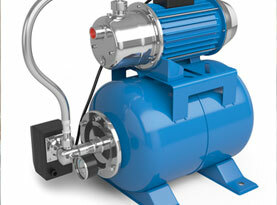 Compressed air is injected into your water system, but then must be removed. 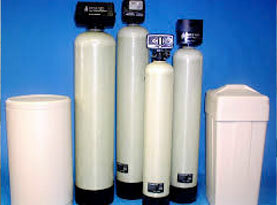 –	Carbon Filters: Carbon filters work well to remove small amount of hydrogen sulfide from your water. 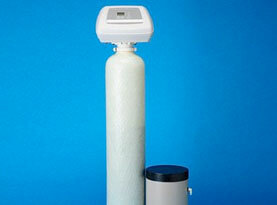 If you have high levels of hydrogen sulfide in your water, you will have to change out the filters more frequently. If you feel that you have hydrogen sulfide in your water and are experiencing foul smelling water, you can rely on the experts at AAA Water Team to help you remove it. We offer water testing to get to the root of the problem and will further discuss your treatment options if you have a problem present. No one wants to have foul smelling water. Call us today!